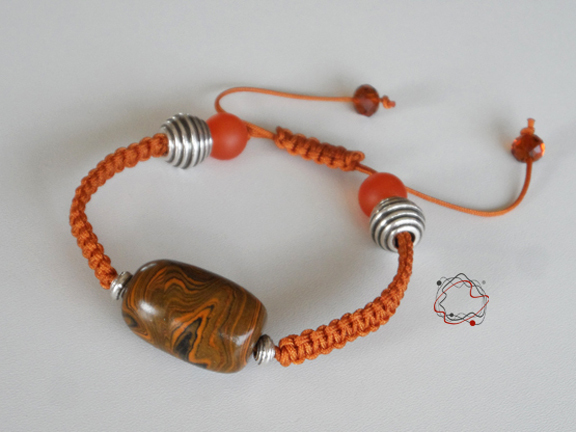 Orange macrame bracelet with "1" Handmade bead, coral, crystals and silver details. 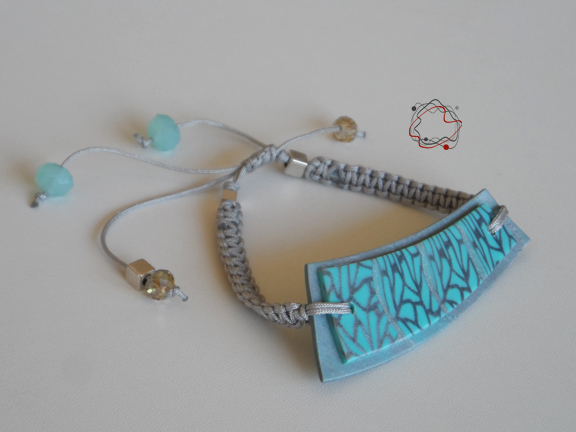 Macrame bracelet with "1" silver & cyan handmade bead. 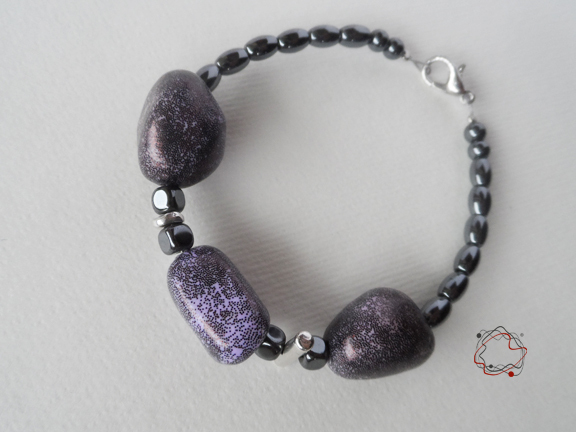 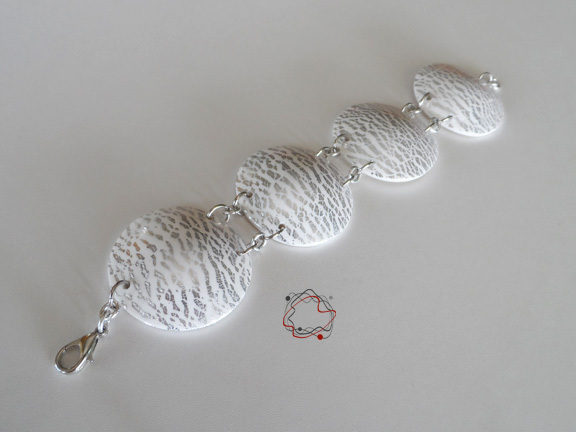 White silver bracelet with "4" handmade beads. 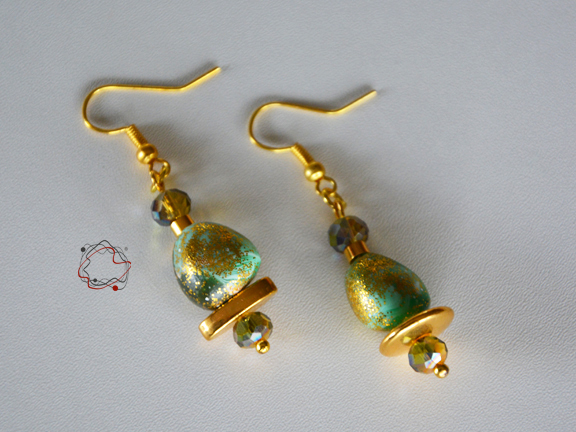 Gold & Green Stone Earrings "Small"
Gold & green stones earrings with "4" unique handmade beads, 2crystals and golden charms. 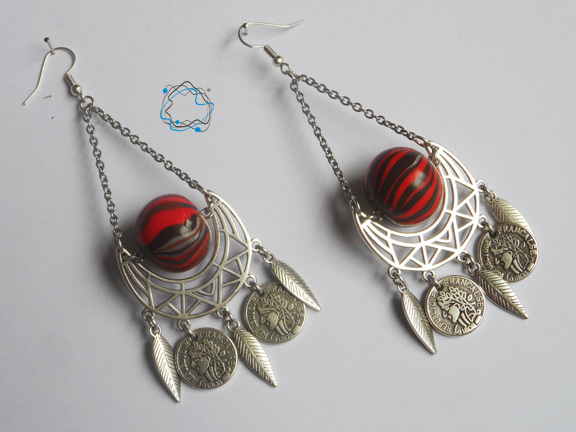 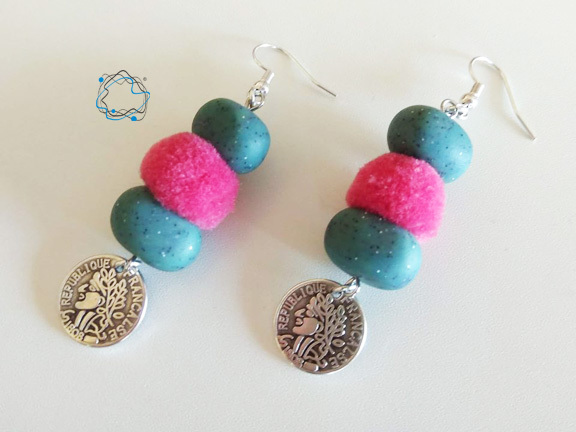 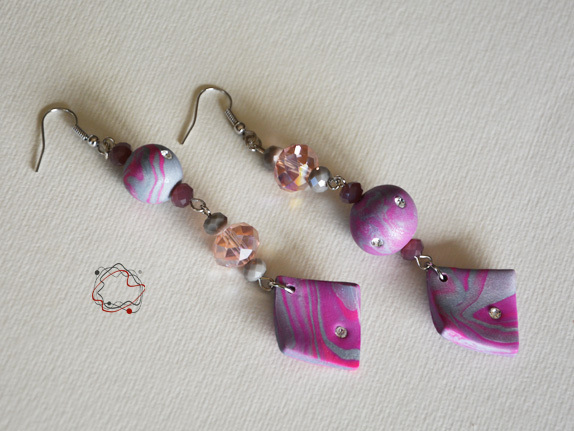 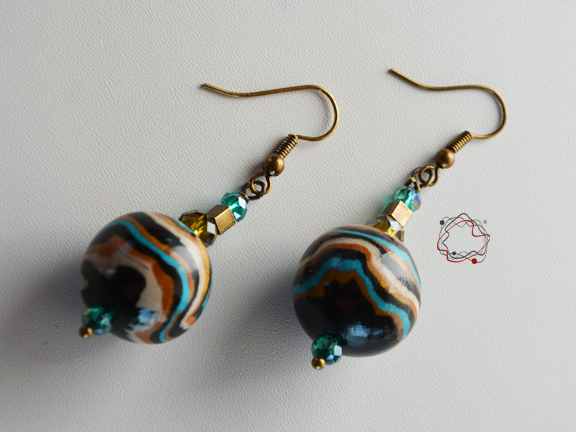 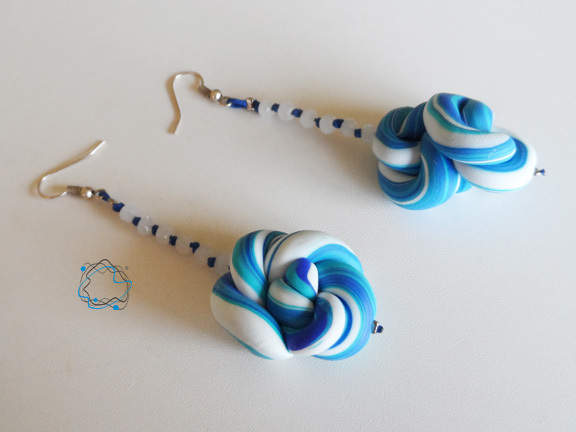 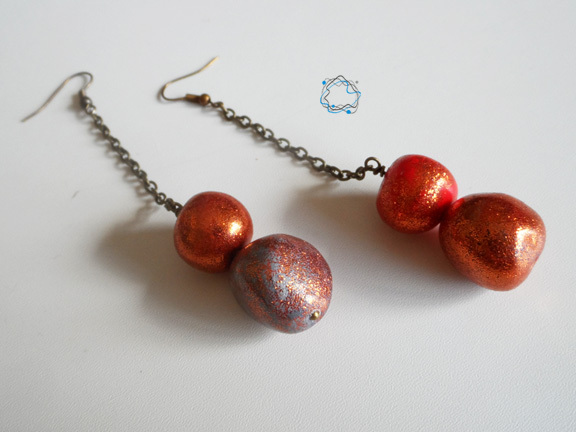 Rhombus earrings with "4" handmade beads, crystals and strass. 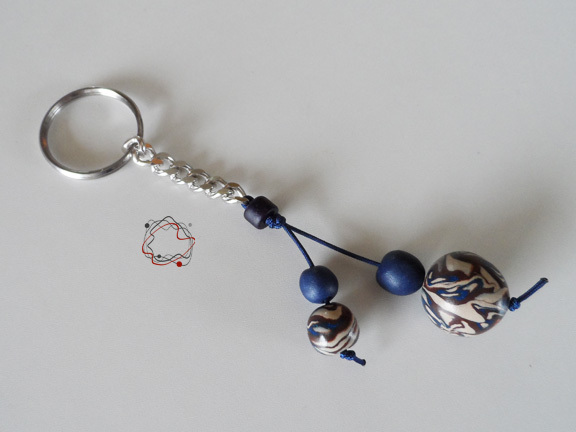 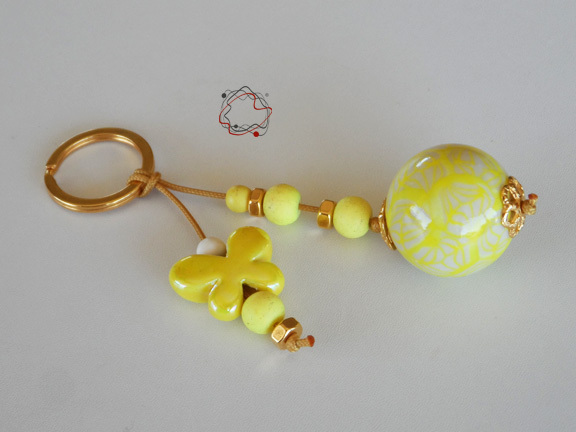 Chain keyring with "4" handmade beads. 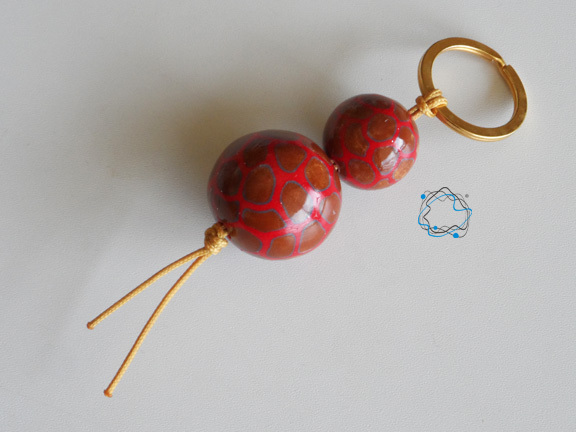 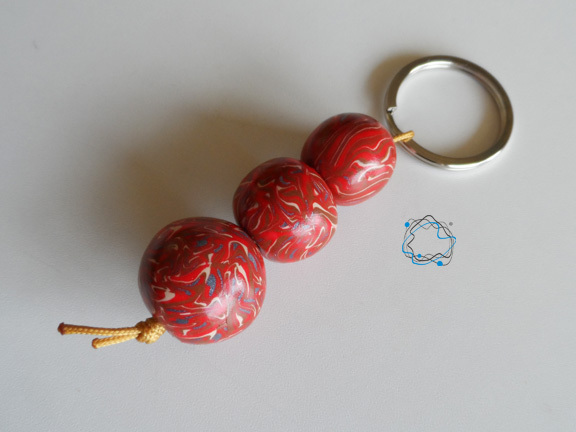 Keyring with "2" red handmade beads @ golden ring.